7.56 points at 9 votes (rank 190). 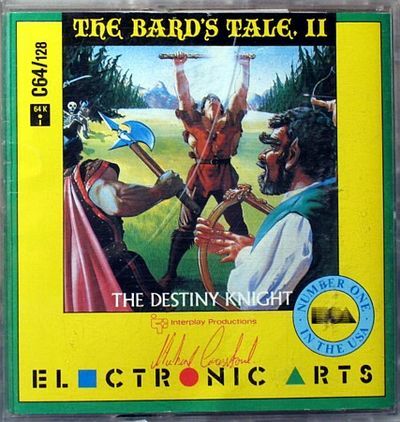 The Bard's Tale II: The Destiny Knight is a computer fantasy role-playing game written by Michael Cranford with Interplay Productions and released through Electronics Arts in 1986. 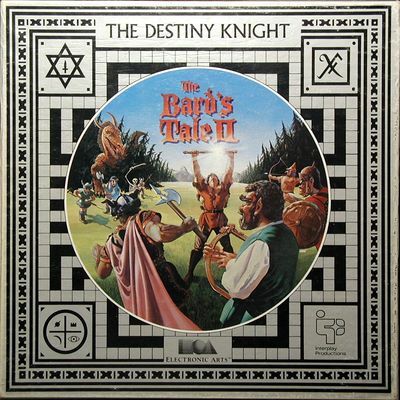 It is the sequel to Tales of the Unknown: The Bard's Tale also by Interplay Productions. 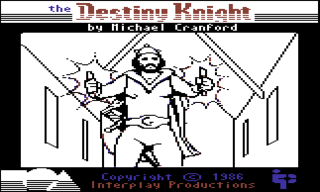 Until some infos are entered here, I recommend the webpage BardsTale.Brotherhood.de. 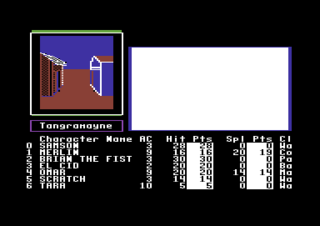 Enter the statistics screen for the first character and pool the gold from the entire party to this individual. Remove this character from the party, then load him again. Pool all of the gold to the next character in the party. Repeat this procedure for all party members, then turn off the computer without saving the game. 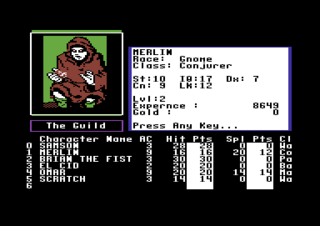 When the game is reloaded, every character will have an amount of gold equal to that previously pooled by the entire party. Run into Brockters in Oscon's Fortress, preferably around 5 or so. 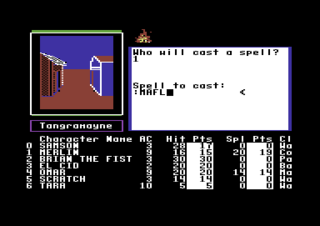 Make sure you cast DIIL unless your guys are strong enough to disbelieve the creatures they summon anyways. 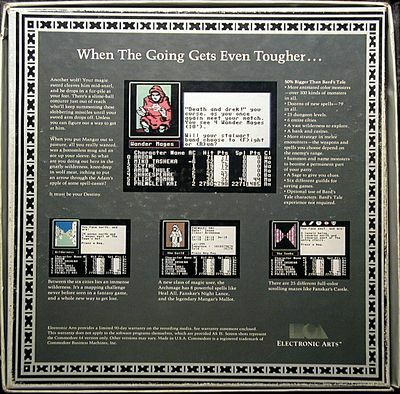 Anyways, keep defending with everyone for a lot of turns and they keep casting creatures that you disbelieve, do this for long enough and you get tons of experience. I did this once and got around 614,500 experience points from 5 Brockters. 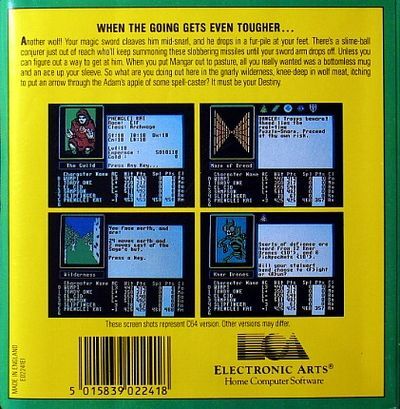 ACE (Advanced Computer Entertainment) April 1988: "Highly recommended for all those who fancy a spot of battle and bravado in foreign lands - the emphasis, it must be admitted, is more action than IQ, but who could resist." This page was last modified on 11 September 2016, at 16:09.